A new health technology startup called Driver wants to connect cancer patients and survivors to treatments, clinical trials and cancer centers across the country, with the hopes of being global. Yes, but: This warrants skepticism. It's an expensive service, so initially it will cater to more affluent people. There are also questions about how the technology will operate within the U.S. insurance system and whether it would lead to overtreatment. How it works: A patient downloads the Driver app and gives consent for the company to collect medical records and tumor tissue. The technology then finds cancer treatments or clinical trials that are available and hospitals they can go to, which can lead to a video conference with an oncologist about next steps and future appointments. A "patient support team" will evaluate people's health insurance, and that may limit their options, Driver co-founder Petros Giannikopoulos said. Driver's first product, called Hyperdrive, is targeted for cancer patients. It costs $3,000 upfront and then $20 per month as a subscription. The second product, called Everdrive, is targeted for cancer survivors and other presumably healthy people. It costs $500 upfront with a $20-per-month subscription. The bottom line: These costs are unaffordable for most middle- and lower-income people, especially those on Medicare and Medicaid. And they don't include travel costs if a patient wants to go to a recommended hospital for treatment — costs that Driver currently would not cover. Giannikopoulos said they plan to cover the costs of the products for underserved communities initially from their own funding and then through corporate sponsors. He would not say how much venture capital Driver has raised. He also hopes this will become an add-on health benefit for employers to offer. However, those costs inevitably would be absorbed by employees in the form of lower compensation. 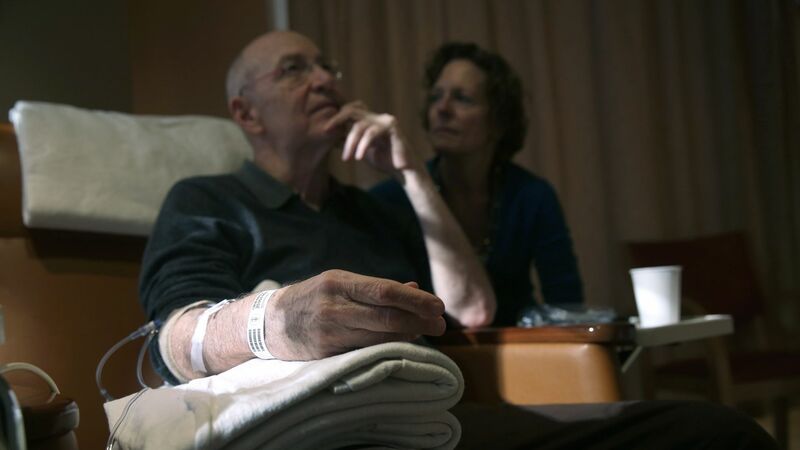 It's unclear how palliative care fits into the technology. The big picture: Giannikopoulos, whose company is partnering with the National Cancer Institute, said the "first and most important barrier is knowledge" when it comes to cancer care. But as more patients grapple with higher out-of-pocket costs, financial barriers are becoming a much bigger concern, and Driver doesn't really solve that. Driver will help hospitals, though. It recruited more than two dozen wealthy hospitals with prominent cancer programs, such as Mayo Clinic and Massachusetts General Hospital, to be part of its network. The app will not only fill clinical trials, but it will also fill beds for hospitals that have seen stagnating revenue.